Major court date on Friday, August 12, 2011 in which the Judge will give his verdict if this case goes to trial or is thrown out. 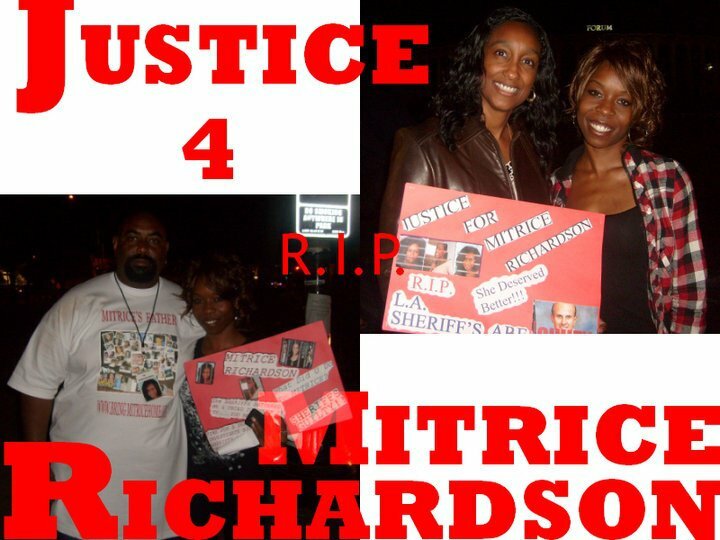 We must show up to support the family and DEMAND Justice for MITRICE RICHARDSON!! The Lost Hills Sheriff’s Department is Guilty of many things and they all need to be revealed. So please come out and show your support & let them know WE WANT JUSTICE & WE ARE DEMANDING JUSTICE for Mitrice (RIP)! 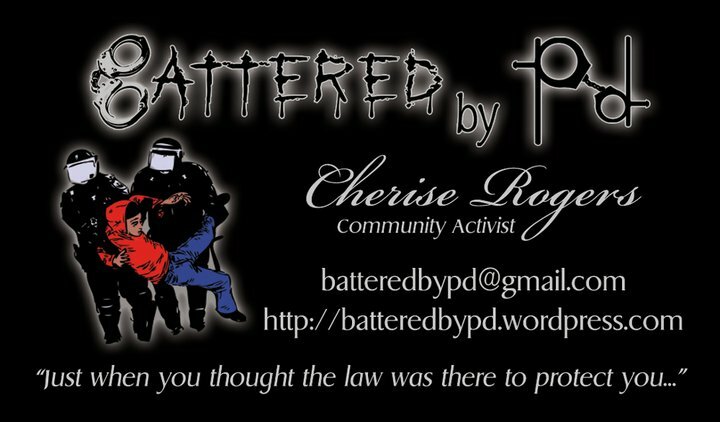 Above is a picture of Head Los Angeles County Sheriff Lee Baca & Cherise Rogers (Victim of Police Brutality at the hands of his deputies). 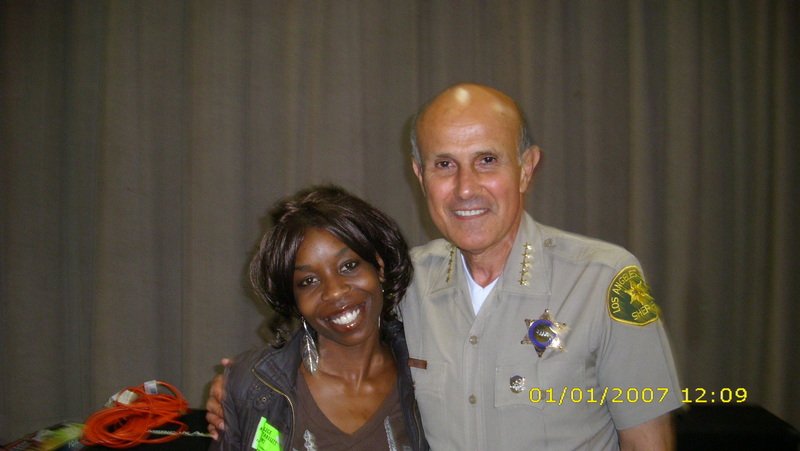 This picture was taken on June 7, 2010 at a Community Forum held by NAEJA (National Association for Equal Justice in America) in Compton, CA which was dealing with the topics of Police Brutality, Police Misconduct, Improving LA County’s Men’s Central Jail, etc……This was the same day Cherise had to turn herself in & bail out of jail pending the appeal she filed against her two April convictions: 2 counts of Resisting Arrest.